You will never forget your keys again. The stainless steel ring is a great match for the quality of the accent piece. Be creative and design a color combination you will love to take with you. We estimate delivery as approximately 3-5 weeks but will try our best to get it to you sooner. 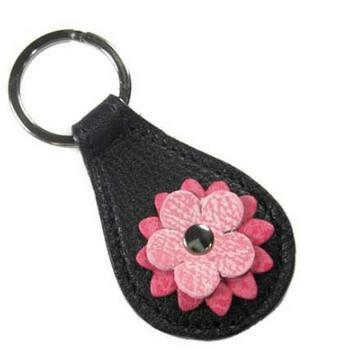 Quality and attention go into every detail of this handcrafted designer leather key fob ensuring it will truly be worth the wait. Also available in the Penelope Collection is a matching custom leather dog collar, lead, poop bag holder and even a coordinating cat collar.